It's about that time again. 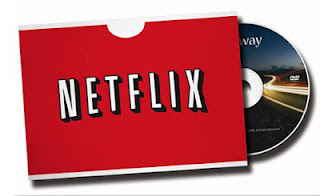 Time for another non-themed Netflix Instant column for this week. There are two on here that I thoroughly enjoy, for very different reasons, and one that I'm so glad it was added to Instant. I first loved this story when I performed it as a reader's theatre piece in college. BUG was an off-Broadway show starring Michael Shannon, and it was creepy and made your skin crawl. So I was stoked when a few years later a film was made with Shannon reprising his role that he had on stage. It's a small psychological thriller which plays with your mind and questions whether the main characters are crazy or if they're being watched and followed by the government. Typically when Oscar season roles around, all the Best Animated Picture nominees comprise of a Pixar entry, Disney, Dreamworks, and maybe a random Fox or Paramount. Last year CHICO & RITA surprised everyone with their nomination. Before the Oscars and unless you made the film festival circuit, not many people had heard of this film. 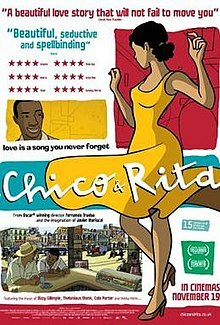 However, the accolades and praise for CHICO & RITA were tough to ignore. Even though the big animation films are always enjoyable, I've taken it upon myself to seek out the smaller gems like this one. One of the 90s classics that I always seem to stop on when it's playing on an idle Saturday afternoon. I always loved the fun adventures of Cher in her Beverly Hills life, but when I found out it was based on Jane Austen's novel, Emma, then it made reading Emma in college that much easier. That's it for me this week. I'm sure my cohort will be back next week with another awesome theme.